Gone are the days of 16GB iPads — and thank goodness for that. When you consider buying an iPad nowadays, you have options ranging from 32GB on the base model 9.7-inch iPad all the way up to 1TB (!) of solid-state storage on the highest-end iPad Pro. With this storage increase, space concerns are becoming less and less of an issue. Instead, you get to ask yourself what kind of space you need for your tasks. The iPad's main price differentiator — aside from whether or not you want a cellular antenna — has been its storage tiers, and the latest generation of iPads is no different. Apple could choose to segment on any spec, but storage size is easy for everyone to understand. More buys you more. First, the iPad mini 4. Apple's smallest tablet has been constrained to just one storage size: 128GB at $399. It's not technically the company's most affordable iPad — that honor goes to the $329 32GB 9.7-inch iPad — but if you break down the per-gigabyte price, it blows the 9.7-inch iPad out of the water. You'll only pay $3.12 per gigabyte for the iPad mini 4 versus $10.28 per gigabyte for the base-model 9.7-inch iPad. Add $100, however, and you get a lot more for your money: The 128GB 9.7-inch iPad is $429, or roughly $3.35 per gigabyte. It's still not as good a deal as the iPad mini 4, but it's close. If you wanted the absolute best storage deal for your cash, the $1,549 1TB 11-inch iPad Pro has the best per-gigabyte price, but that's a little too much storage for most people. The best value for your money lies in the sweet spot of the 128GB 9.7-inch iPad at $429. The per-gigabyte price is lower, but the price you pay overall is much better. Plus 128GB is more than enough storage for most people. Do you need local or cloud storage? You may be able to skimp on your on-device storage if you plan to stay connected. Apple offers plenty of integration with cloud services, including Dropbox, One Drive, Google Drive, and its own iCloud option; the Files app even lets you natively manage all of those files in one place. Apple's iCloud gives you free unlimited storage for all your iTunes-purchased content. That includes iBooks; iTunes music, movies, and TV shows; and apps from the App Store. Beyond this, Apple allots all customers 5GB of free storage for backups, data, iCloud Photo Library, iCloud Music Library, and iCloud Drive. You can also purchase more iCloud storage if you need it, at prices ranging from $0.99 for 50GB to $9.99 for a whopping 2TB. iCloud integrates with iOS, macOS, and the web; it keeps all your stuff connected and collected. Thanks to some really intelligent nearline management, iCloud can help make sure frequently accessed content is instantly available, and your older and infrequently accessed content is only a tap and a download away when you need it. The cloud still can't take the place of lots of on-device storage — you can't shoot 4K video straight to the cloud, for example — but it should help you get the most of what you have. If you're a regular cloud services user, 64GB of local space should be just fine for your daily needs. If you plan to travel or otherwise be offline, consider 128GB or 256GB. If your iPad is your primary work machine and you do a lot with images, video, and vectors, the 512GB or 1TB size is the option you'll want to pick up. The current iPad lineup offers cameras that can shoot photos ranging from 8 megapixels to 12MP in size, up to 63MP panoramas, and video up to 4k & 30FPS. Even with iOS's HEIF and HEVC image and video compression format — which halves storage needs for multimedia content — if you take a lot of photos, you're probably going to need more local storage. iCloud Photo Library can help offload your content to the cloud, but you'll have to pay for the iCloud storage necessary to store your full Photo Library. And even then, depending on how much you capture and how often, it still might not be ideal. If you hardly ever shoot or store photos and video on your iPad, you should be good with 64GB. If you plan to edit and store photos or videos — especially 4K video — consider one of the larger storage sizes. iTunes movies can be 1 to 3GB in size for a standard definition file; change that to HD, and they can easily eat up 3 to 6GB of storage. TV shows are usually a quarter to half the size of movies, but they make up for it by the number of episodes typically available. In contrast, music files are generally quite small, but if you have lots and lots of albums you want to jam to, they can add up as well. Streaming services like Apple Music, Netflix, Amazon, HBO, and Spotify also offer local offline storage options for traveling, while cloud services also offer offline storage space if you have personal movies or music you want to enjoy. If you do a lot of streaming and very little offline watching, 32GB to 64GB is acceptable. If you want to be able to save a few movies and shows without having to delete other items on your iPad, 128GB is the better bet. Want to store a bunch of content offline? 256GB or 512GB is the size you want. Building AR games from scratch or editing movies and don't want to store anything in the cloud? The 1TB model makes more sense. Apple and developers can do a lot these days to keep apps slim and trim, but as programs increase in complexity, you may find your iPad slowly filling up on 600MB updates and 2GB game packs. This is especially true if you plan to use an iPad for any graphics-intensive process — whether that involves artwork creation or rocking out to the latest version of Monument Valley. If you don't have a ton of apps or games on your iPad, 32GB or 64GB can work. If you have a fair number of apps and games, consider 128GB or 256GB. If you plan to do any graphics-heavy design work, get a 512GB or 1TB model. Who should get a 32GB iPad or 64GB iPad Pro? 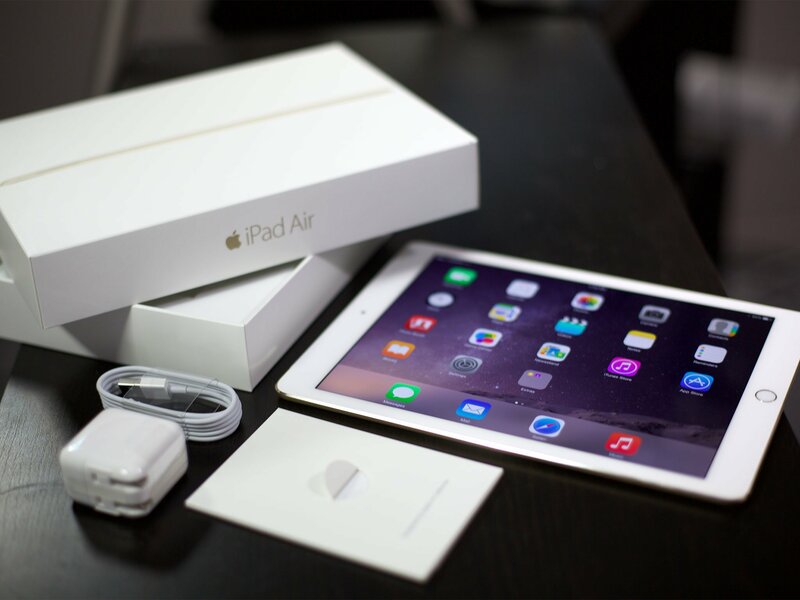 Very few buyers should consider a 32GB iPad. Though its $329 price can look appealing to first-time buyers, the $10.28/GB storage cost is one of the worst deals Apple offers — comparable only to the 64GB iPad Pro models, which rate at $10.14/GB and $12.48/GB, respectively. If you're buying hundreds of iPads for education or enterprise and only need them to access B2B apps and web portals, this may be the iPad for you and your legions. And if you absolutely can't or don't want to pay a dime more, get a 32GB iPad or 64GB iPad Pro. Otherwise, shoot for 128GB or 256GB. Who should get a 128GB iPad mini or iPad? If you don't want or need a Pro model but still want to keep a good amount of content available, consider the 128GB iPad mini or standard iPad. At under $3.50/GB, both the mini and 9.7-inch iPad give you excellent bang for your buck; at that point, it just depends on what screen size you prefer. Who should get a 256GB iPad Pro? If you're interested in the iPad Pro, the 256GB model offers that perfect sweet spot. It's just under $3/GB for the 10.5-inch model and $3.51/GB for the 12.9-inch and should give you more than enough space for documents, audiovisual content, artistic canvases, and whatever else you'd like to store — all at a lower price than an entry-level MacBook. Who should get a 512GB iPad Pro? Let's be frank: unless you plan to use an iPad Pro as a stuffed-full content portfolio or daily audiovisual work machine, it's going to be mighty difficult to stuff it full of 512GB of content. It's possible — but highly unlikely. Between that prospect and the 512GB's starting $949 price tag, we can't recommend it to anyone but the heavy duty user; 256GB will be more than enough for most pros (especially if combined with cloud storage) at a far more reasonable price. But as with the 32GB model, there are those few who need 512GB. For you, Apple offers this highest end of high-end iPads. Go forth and use it to its maximum potential. Who should get a 1TB iPad Pro? If half a terabyte is actually not enough storage for you to do everything you want or need on an iPad, I think you might be doing it wrong. The 1TB iPad Pro is meant for developers that need the extra storage and memory, likely for processing augmented reality games and apps. 1TB of storage is also beneficial for music engineers or graphic designers. Basically, if you're not a creative professional, you don't need an iPad with 1TB of storage. The thing is, though, its actually the best per-gigabyte bargain of the entire lineup. If you're considering your purchase solely on the per-gigabyte price, the 1TB iPad Pro is the winner. But, who buys an iPad based on that? If you're still not sure which storage size to get, jump into our iPad discussion forums and the best community in mobile will happily help you out! Also, remember that Apple offers a great 14-day return policy for any product purchased from an Apple online or retail store. When you get your new iPad, put it through its paces. Add all the apps and games you want with you, load up your movies and TV shows, go out and take some photos and shoot some video. Give it a complete and thorough workout. If it feels like you got too much storage — or too little — take your iPad back and exchange it for one that better suits your needs. Updated October, 2018: Added information about the 2018 iPad Pro.